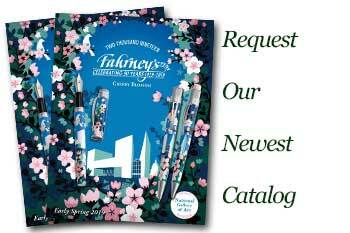 Order your Visconti Casa Battló Fountain Pen today from FahrneysPens.com. Fine Pens, Refills & Luxurious Gifts – great prices & fast shipping. 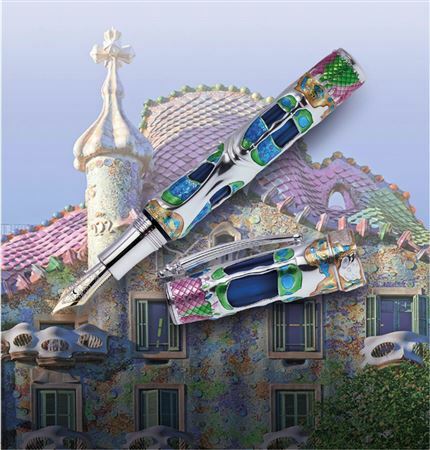 The newest addition to Visconti's Limited Edition Collection, straight from the heart of Barcelona, Spain, is the Casa Batlló. Casa Batlló is one of Antoni Gaudí's masterpieces. It is a renowned building located in the center of Barcelona, Spain. A remodel of a previously built house, it was redesigned by Gaudí in 1904. The ground floor is filled with unusual tracery, irregular oval windows and flowing sculpted stone work. Gaudí avoided the use of straight lines almost completely, and much of the facade is decorated with colorful mosaics made of broken ceramic tiles. The locals refer to Casa Batlló as the casa dels ossos, or the house of bones due to its skeletal appearance, or the casa del drac, house of the dragon because of the arched roof. The roof is arguably one of the most popular features of the home and looks like the back of a dragon. The roof is said to represent Saint George, the patron saint of Barcelona, and the dragon he mythically battled. The pen's body and cap are made of three layers; each one is molded in different materials: acrylic, silver and enamel, representing the facade of Casa Batlló. The shape of the cap and the blind cap reflect the design of the roof built from small colorful tiles. The clip represents the lance of Saint George plunged into the back of the dragon. The pen features the famous double reservoir power filler created and patented by Visconti as well as with their iconic 23kt Palladium nib. 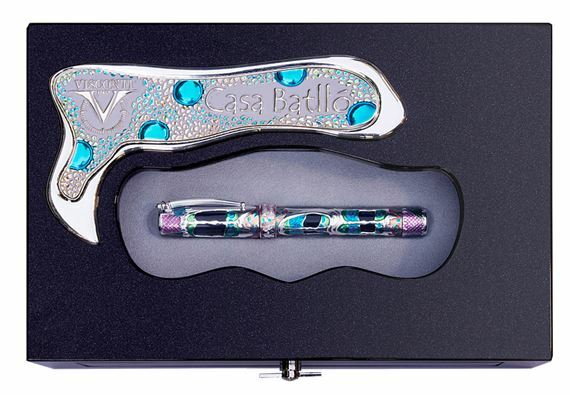 The Pen has been developed with the support of the owners of Casa Batlló, which celebrated the 110 year anniversary since the rebuilding was completed in 1906. 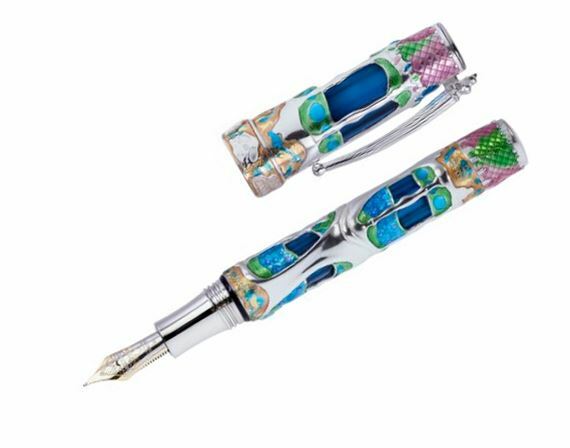 As an ambassador of beauty, art and luxury, Visconti has been chosen to represent the spirit of the famous artist and his masterpiece in this latest creation. Limited Edition of 188 fountain pens and rollerballs. Bottle fill only.